Not all bathrooms were created equal. 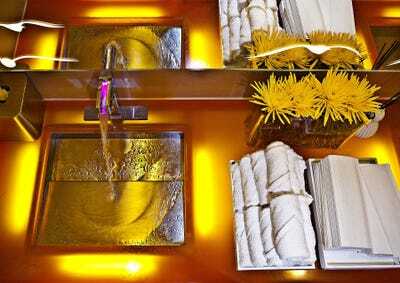 Here are some of the most interesting, beautiful, and unique bathrooms around the world. 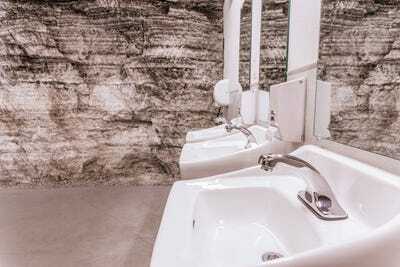 Many of these were nominated in Cintas’ annual Best Bathroom in America contest. The winner of last year's Best Bathrooms in America contest was this beautiful pair of public restrooms in Minturn, Colorado. They're designed to mimic the general shape of an adit, (a name for a horizontal passage way into a mine) as a tribute to the town's mining history. 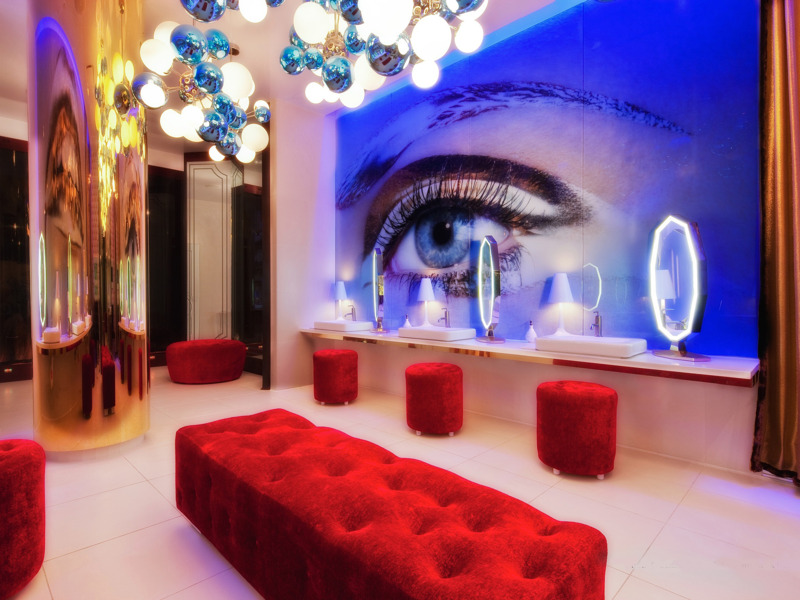 The restrooms at the Vanity Nightclub in Las Vegas cost $1.2 million dollars, and the hand-blown glass chandelier cost $40,000 on its own, according to Cintas. 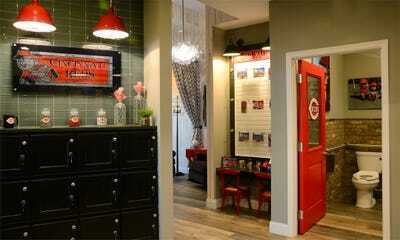 The women's room contains 11 stalls, and spans an impressive 2,000 square feet. This bathroom in Hutchinson, Kansas, is beautiful. It's also 650 feet underground. They can be found at Strataca, the only salt mine attraction in the United States. The Strataca bathrooms have been described as a 'feat of engineering,' and were finalists in Cintas' 2015 Best Bathrooms in America contest. 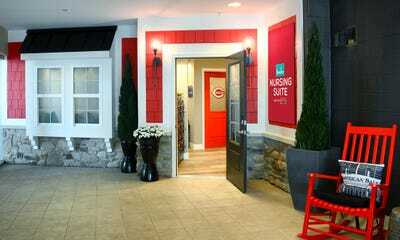 The Great American Ball Park is the home of the Cincinnati Reds, but the stadium also hosts a unique nursing suite. The Pampers Nursing Suite is a homey, fully-stocked area for mums who are bringing their little ones out to the ballgame. 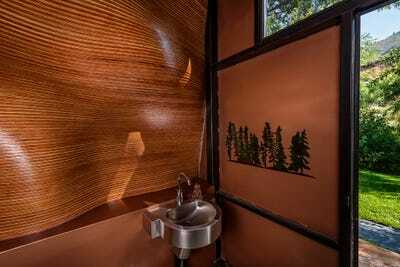 This was also a Best American Bathrooms finalist. 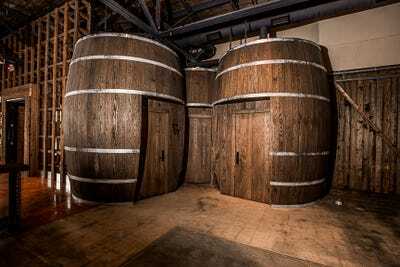 The bathrooms at Charleston Distillery in South Carolina look like giant versions of the barrels where the company distills whiskey. 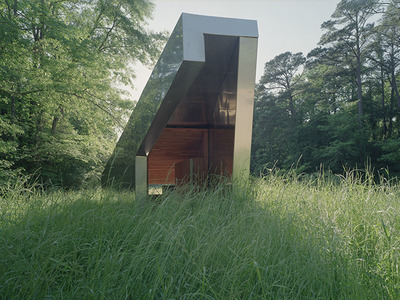 This gorgeous piece of architecture stands a towering 50 feet tall in some woods near Marion, Alabama. 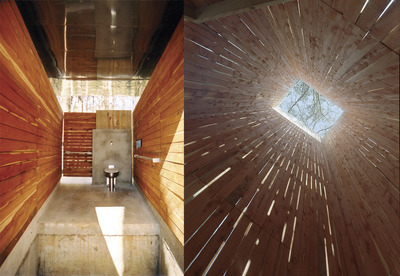 It's called one of a trio of bathrooms (the 'Tall Toilet,' the 'Long Toilet,' and 'Mound Toilet') that was built by architecture students at Auburn University Rural Studio in 2003. They were a finalist in Cintas' 2015 contest too. 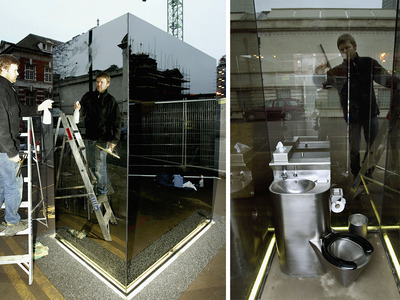 This toilet is an art exhibit called 'Don't Miss a Sec,' but it's fully functional. The one-way mirrors around the public bathroom make it so bystanders can't see the person inside go about their business... but they can see them. 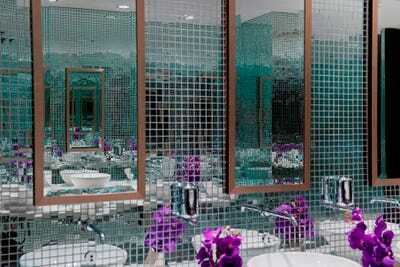 Thousands of reflective glass tiles on the wall of a bathroom in the Radisson Blu Aqua Hotel in Chicago make it a stunning place to go about your business. 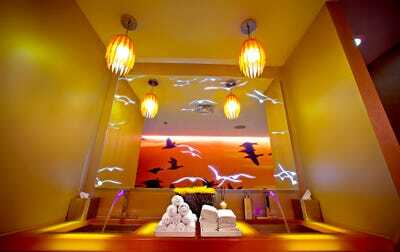 The bathrooms at the Renaissance Arlington Capital View Hotel in Crystal City, Virginia, are designed with a sunset motif. The water from the faucets pours out a vivid red or blue, depending on if it's hot or cold.